The cutest craft projects for kids come from Mer Mag DIY! Those of you who know me, will know that craft is my thing. Or at least the idea of it is. Now, just in time for the school holidays, comes a load of DIY crafty goodness for kids from Mer Mag blog. And the best news is it all looks completely doable! 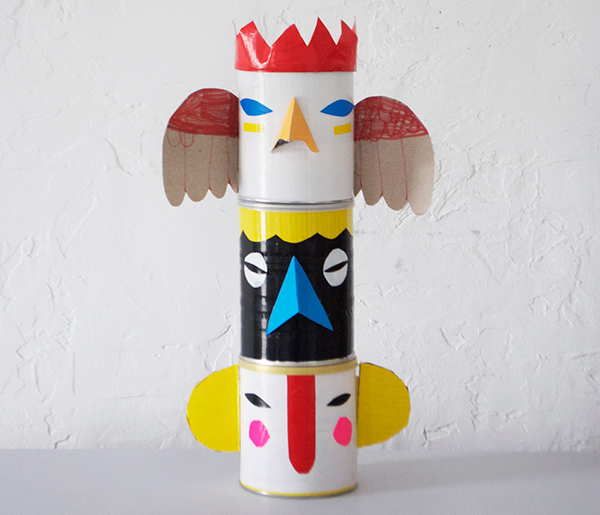 First task to hit up on our craft to-do list is the very fancy looking Totem Pole Banks. You’re only three cans and a plethora of tape away from teaching kids important lessons in how to budget for spending, saving and giving with their very own money box. Stack them up, up, up and stack them higher! 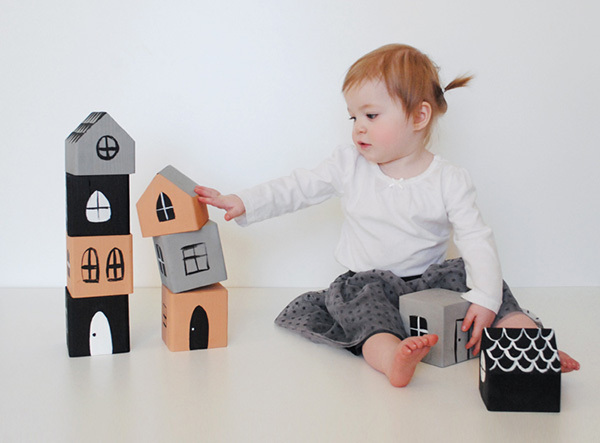 DIY Stacking House Blocks are super sweet and at risk of sounding lame, how nice is it to have toys that complement your nursery or bedroom decor? Make your blocks cool and contemporary or pretty and pastel – it’s up to you! Do your little people love to dress up? 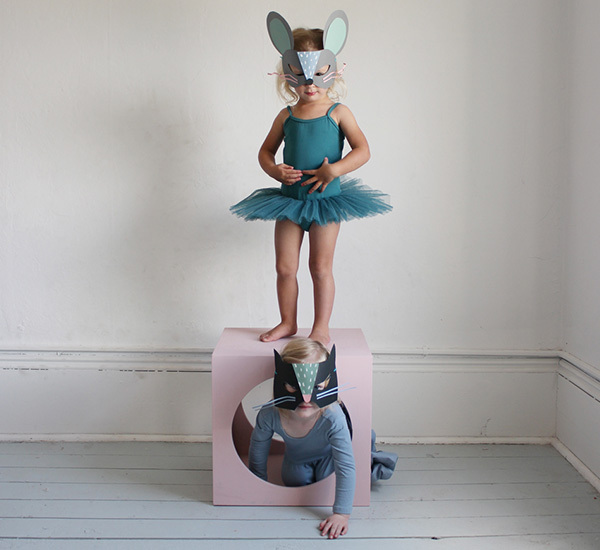 How about helping them make their very own paper Cat and Mouse Masks. There’s hours of fun guaranteed both in construction and of course, hide and seek and cat and mouse games. I’m a stationery nut and much to my husband’s delight (haha), I’ve managed to convince two of our three offspring to follow in my pen and pencil collecting ways. 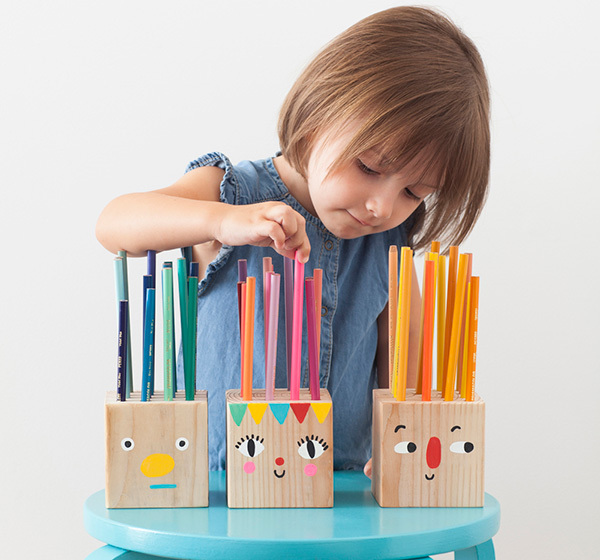 The Pencil Holder Head project not only looks funky, it’s also completely functional. Said like a true craft tragic. This craft project is not just for me, with my coffee drinking ways. 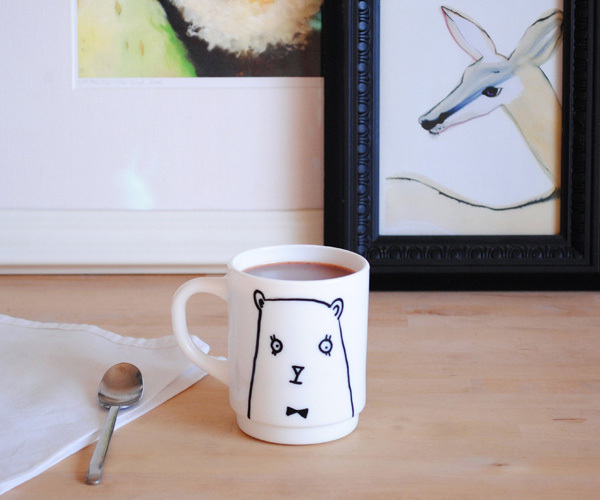 Let the kids design a cup for everyone in the family using this awesome Bear Mug tutorial, personalised mugs for everyone! Merrilee Liddiard is the creative genius behind the Mer Mag – be sure to check out her treasure trove of creative goodness over at her Mer Mag blog. 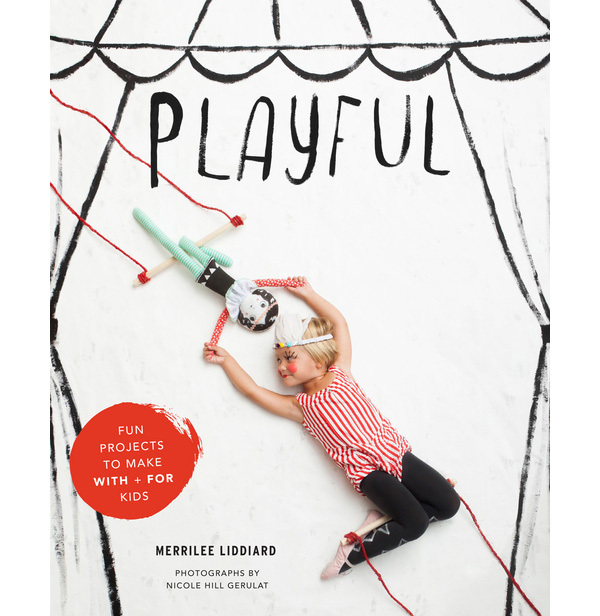 For even more projects (including the above Pencil Holder Head), you can find Merrilee’s book, aptly named Playful, over at Book Depository.